Since the 1800s, teeth have been restored with a silver-coloured compound called amalgam. Amalgam is an alloy (i.e. a mixture of metals) and is comprised of about 50 percent liquid mercury. Mercury is extremely toxic to living cells, being second only in toxicity to radioactive materials. Dental amalgam has traditionally been a long lasting, relatively easy to use, cheap material to restore teeth with. Amalgam fillings release mercury vapour constantly. 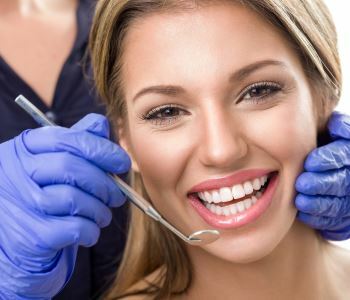 Factors which increase the release of toxic mercury vapours are acidic foods or drinks, hot foods or drinks, grinding your teeth, brushing amalgam fillings, having your teeth cleaned or amalgam fillings replaced. Interactions with other metals used in the mouth such as gold crowns or partial dentures also cause an increase in the release of toxic mercury vapours. This release of mercury vapour then accumulates in the body. Animal experiments have shown that mercury is stored in fatty tissues including brain, liver, kidneys, heart, and joints. Damage to the immune system. Damage to the endocrine system, e.g. hypothyroidism. Painful itching, burning, swelling, and excessive shedding of skin. Use of non-latex rubber dam to prevent amalgam being swallowed. Supplemental air flow (oxygen) so that oxygen is inhaled and not mercury vapour. Removal of amalgam in large chunks with cool water. High volume air suction to remove mercury vapour during the amalgam removal process. Air purifiers that remove the mercury vapour from the room. Protective masks and respirators for staff. Once the filling is removed from the tooth, we then replace the amalgam restoration with a composite white filling material. For a larger filling we would recommend a CEREC restoration which is a longer lasting bio-compatible ceramic restoration. We support mercury free dentistry for these reasons and more. Mercury from dental waste contaminates air, public water supplies, and land through unfiltered waste-water, human waste, burial, and cremation. Polluted water results in unhealthy levels of mercury found in seafood. Other problems with amalgam fillings are that more of the tooth structure must be removed to hold the restoration. The alloy in the amalgam filling expands and contracts at different temperatures than natural tooth materials do, causing teeth to crack which then require further dental work. Mercury-free alternatives in comparison are bonded into place and are bio-compatible. There’s no need to expose yourself or your family to the dangers of dental amalgam. Today we simply know better. Become a Smile in Style patient for healthy, mercury free holistic dentistry.